Shore fishing in Dorset at its best! I don’t really know where to start in this report. This weekend has to have been one of the best for a long time. It seems Cod fever has started. I have witnessed quite a few Codling being landed this weekend from a number of marks along Chesil. 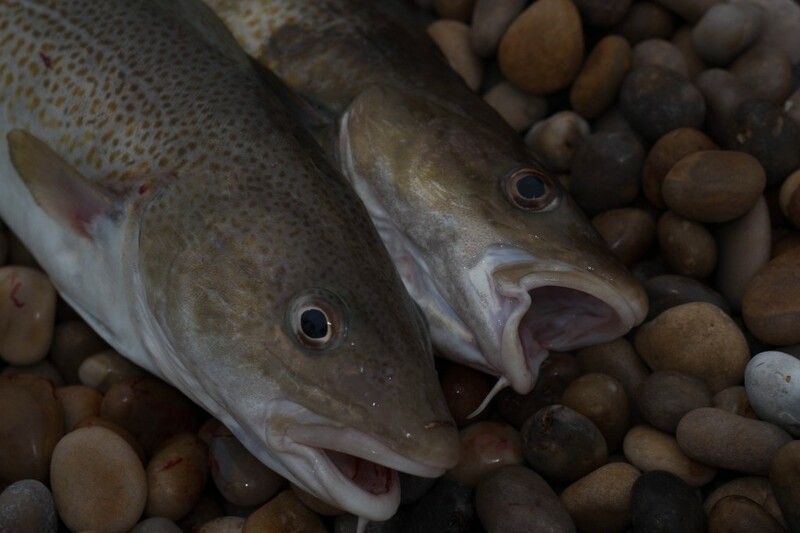 Watch out for a Chesil Cod special post this week. Personally I don’t get overly excited about them, as I find them neither sporting or tasty, but each to their own. Give me a double figure Smoothound from the shore, or 5lb Bass on a lure any day. 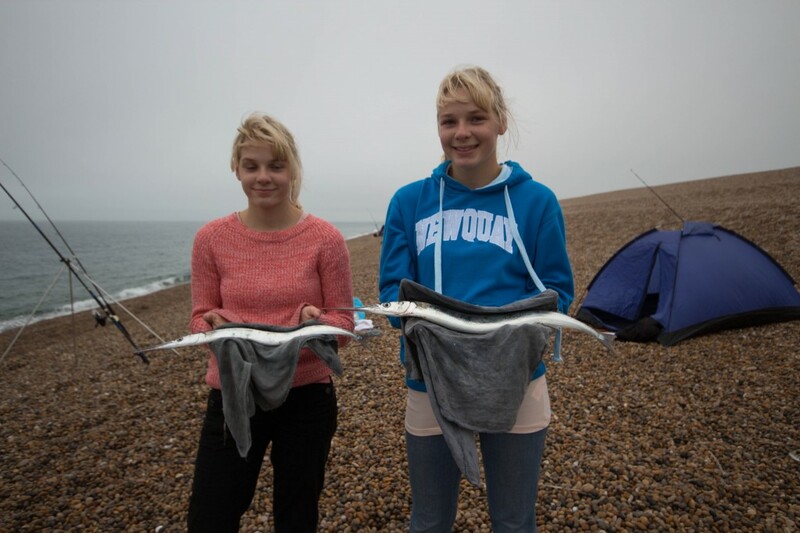 Even an acrobatic Garfish just like the ones that twins Chloe and jasmine caught on Saturday and I would be delighted. One species that I have seen more of this year than I have in the past is Undulate Rays. This may have something to do with the current ban on landing these Rays. Long may the ban continue, with luck we will see more coming from marks like Chesil. 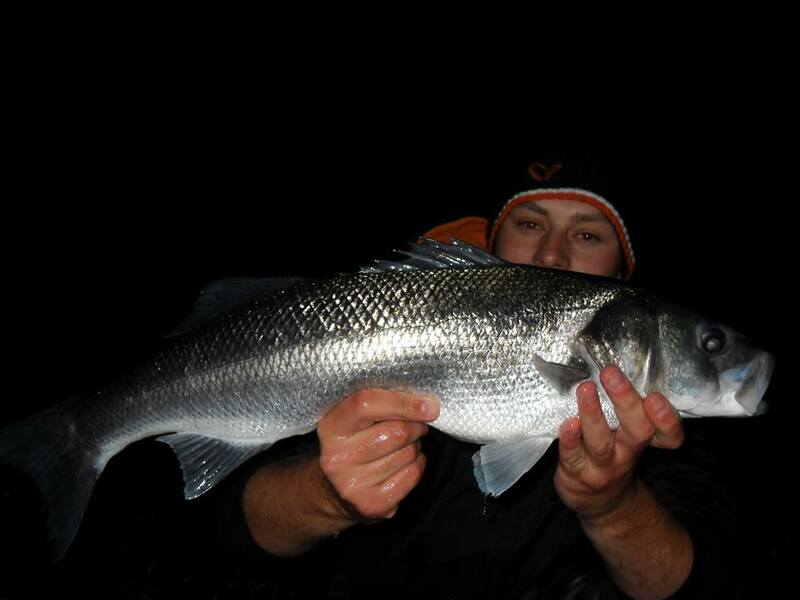 Nick Croker from Salisbury landed this nice little one from near the wreck of the Adelaide during daylight. The Undulate took a fillet of fresh Mackerel. Nick also managed to catch a load of Mackerel and a Red Gurnard. Nick tells me the Ray was quickly returned to the water and swam away safely. It is not just the shore fishing that is on fire. 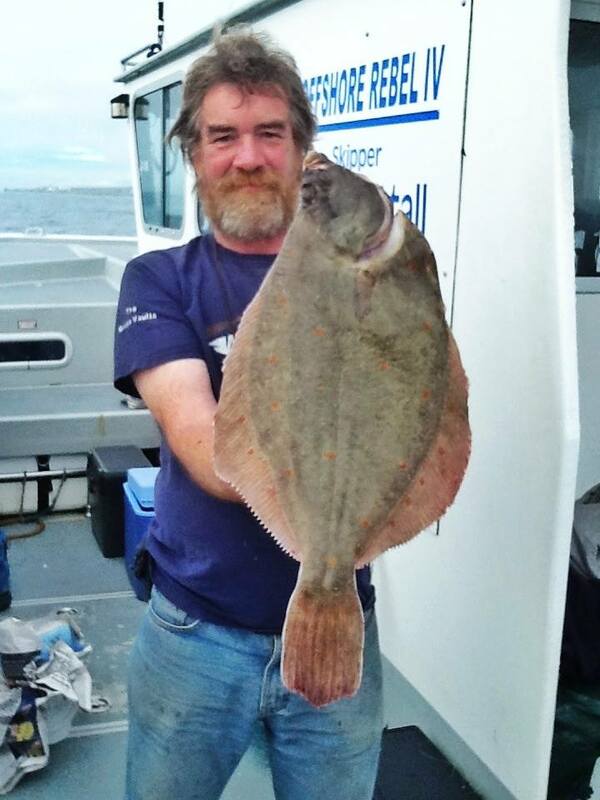 Nick Staples from Leominster was fishing on Paul Whittal’s Offshore Rebel when he landed this monster Plaice of 7lb 3oz. I looks like another contender for September fish of the month. Not content with that he returned the following evening and broke his PB again. Chesil Beach: Calm, the water has a milky tinge to it. Portland: 0.5m swell, with lightly coloured water. 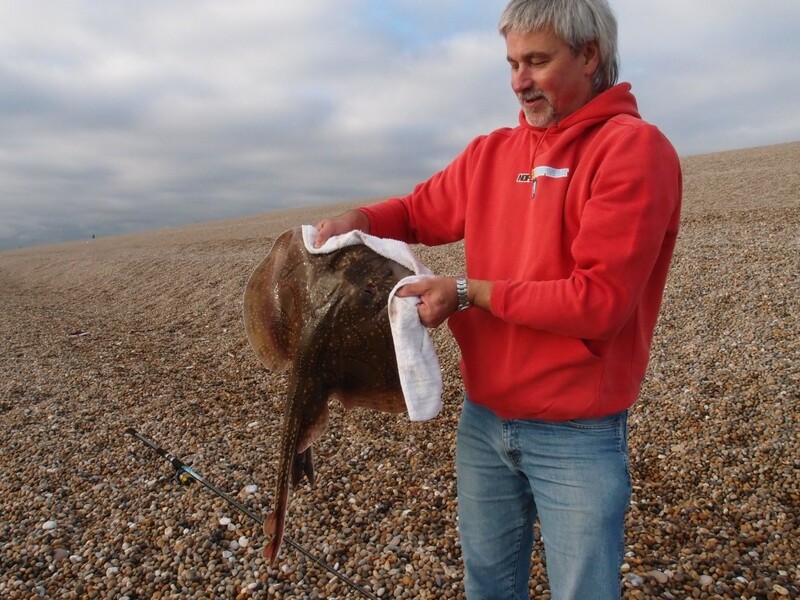 Chesil Beach forecast: Lets hope the beach continues to fish as well as it has done over the past couple of days. If anything it should fish better, as the tides will not be quite so strong. I am pretty certain that we wont be seeing too many more Codling until the next set of spring tides, but there should still be one or two around. 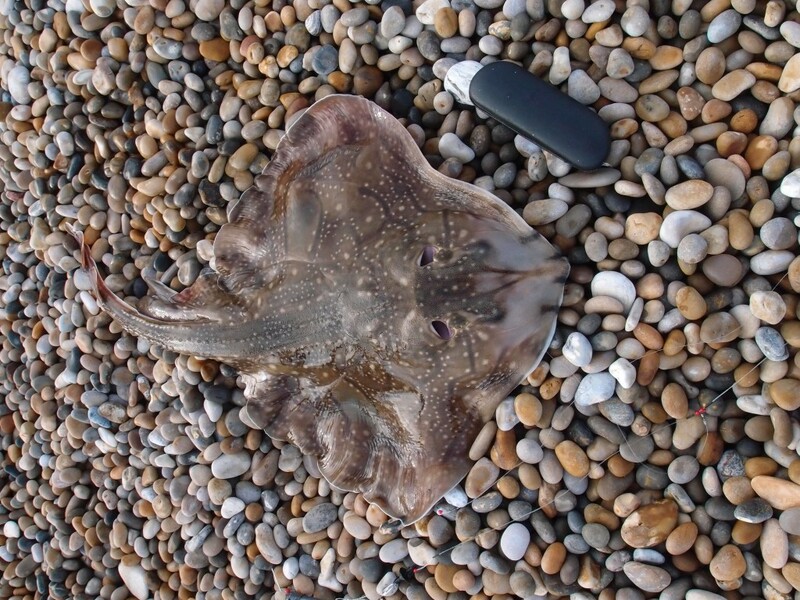 The Plaice are in prime condition now and will start to move from the wesstern marks such as Abbotsbury and Cogden and start to spread east along the beach, before finally moving off to bread in 6 weeks or so. Fishing after the far end of the bird sanctuary often produces some cracking fish now. THe same mark is just as likely to produce that odd Codling as well as Smoothound. Portland: Pollock, Garfish, Wrasse and Bass are all potential targets from all the rock marks along Portland. Chesil Cove and the Bill are favourite marks for lure fishermen. All the above species can be caught on float tactics. If you don’t mind losing terminal tackle then you can fish hard on the bottom. Rotten bottoms are essential if you want to stand any chance of getting a hooked fish back. Use large fish baits for Conger, Bass and Bull Huss. My top mark for the next couple of days, has to be CHurch Ope Cove at dusk. This is my favourite time of year for this mark that can produce six or seven species in a short session. 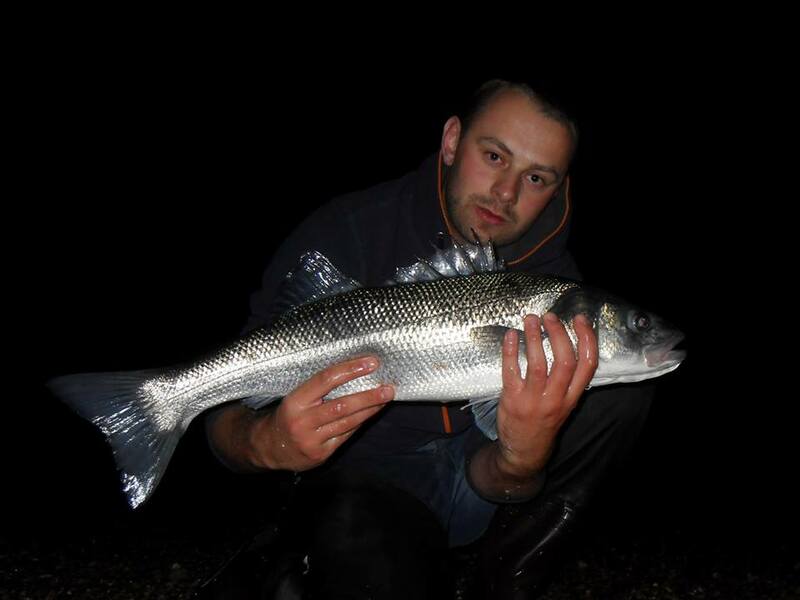 Portland Harbour: Large tides at this time of year bring in lots of smaller Bass in to the harbour. Flounder and Gilthead Bream are still a possibility. Take advantage of the Mullet feeding up for heading back to sea for the winter. Shoals of Mullet can be found around Sandsfoot, Ferrybridge and Castletown. Weymouth Bay: With an easterly wind creating a bit of surf along Weymouth Esplanade and along to Bowleaze Cove, the chance of getting a Bass is fairly high. Live Peeler Crab, Slipper Limpet, Lugworm and Ragworm all work at this mark. Use a light surf rod or even a spinning or Carp rod for the best sport. You only need to cast out 30yds at the most. If fishing the beach is not for you then both piers are going to give you the chance of Pollock, Garfish, Pout and Wrasse. It is a great mark for those that fancy trying their hand at LRF fishing, with tiny lures. The piers are home to loads of mini species that can give you a great session trying to catch new species. Hi Chris.I am fully behind supporting local business. If you supply me with an email address that I can reply to (the one you supplied does not work), I will be happy to give you a full explanation.